I cast a despondent gaze over the little piles of laundry lining the hallway. (Sigh.) I have faced those same, boring little piles every Monday of my married life. The size, shape and quantity of the clothing have changed over the years. The task itself has not. Hm. I had to mull that one a bit. Wait a minute. Whatever I do? Does this mean to say that I’m supposed to do laundry for Jesus? That can’t be right. I do laundry so that we can have clean clothes and so that we don’t stink. I do laundry for my family. I do laundry because I have to and I’m stuck with it and if I didn’t do it, my children would wear the same clothes until the clothes could wear them and because maybe, just maybe somebody, someday will APPRECIATE ALL THE HARD WORK I DO! Whoa. Time for a gut check. 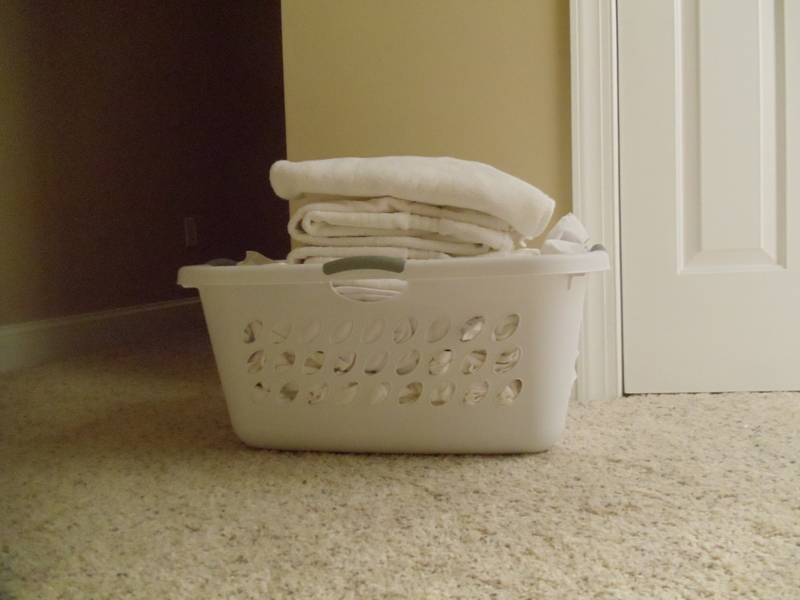 What would happen if I did do the laundry (and everything else) for Jesus? Well. My perspective might change a wee bit. Didn’t he wash their feet? Didn’t he come to serve, not to be served? Doesn’t the King of Heaven wash my dirty laundry when I confess it to him? Yes. Whatever I do, I must do for him. And why? Because if I do it for myself, it is too easy to stop. Because if I do it for the recognition of people, I will be disappointed. Because everything I am able to do, I am able to do because of him. Yes, I will do the laundry for Jesus… and swish the toilets, and grow the children, and love the husband, and teach the students, and write the blogs, and whatever else he wants me to do. Thanks be to God that I can! Singer, piano teacher, composer, recording artist, writer - and now, blogger! Thanks for joining me here. If you like what you read, please share with a friend.